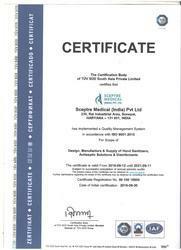 "Sceptre Medical India Private Limited", establish in 2010 has emerged as a leading manufacturer and supplier of Hemodialysis catheters & disinfectant range of Products. We are renowned for our wide range of products which include Antiseptics & Disinfectants and Single Lumen, Double Lumen & Triple Lumen HD Catheter. Our products are known for their excellent performance, high efficiency, biodegradability, glutaraldehyde free and high impact strength. Our products are effective sterilant formulated for use after dilution for many applications, for example, high purity water systems, medical and laboratory equipment. 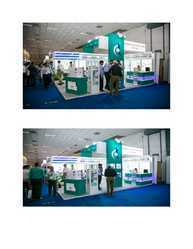 It is mostly used in Dialyzer Reprocessing System. Our ethical business practices and customer-centric approach has won us accolades from our esteemed clientele across the nation. With state-of-the-art facilities and dedicated professionals, we are poised to deliver international standard quality products at the most affordable rates. Comprising of various sub-functional departments like manufacturing, quality management, research & development, sales & marketing, our infrastructure sprawls over a large geographical area. Our adept specialists, skilled chemical engineers, efficient work force and matchless resources enable us to serve the demands of various sectors with quality solutions. We make sure that our offered range goes through a stringent quality check process after it is manufactured. Moreover, our competitive prices, wide distribution channel and on time delivery schedules have given us a competitive edge in the market. Our company is constantly progressing under the leadership of our mentor "Ms. Archna Manocha", who has always encouraged new ideas of manufacturing to offer better quality of products to our clients. Being highly experienced in this domain, she is the ultimate source of inspiration for our team. We have served a big client base since our formation and have earned a remarkable respect in the market. Our infrastructure is integral and critical to our business operations. Enclosing a modern manufacturing plant that is perfectly streamlined to conduct a variety of product development processes, it helps us fabricate superior quality and effective Pharmaceutical Products. Specialized tools and machineries are installed in our manufacturing plant for specific processes. In addition, our infrastructure also houses well-laid warehousing and packaging units, wherein our product range is stocked and packed to perfection, before it is shipped to different client’s destination around the market. Being a quality conscious company we follow rigid quality control measures at every level of its operation. We employ the finest quality of raw material which is sourced from reputed agents of the market. A team of experienced workers puts an authentic vigil on the entire process, thus eliminating every possibility of quality degradation. We examine the product on the limitations such as effectiveness, safety, composition, pH value and purity. Our respectable status in the market is based on quality, reliability, integrity, and complete understanding of the market dynamics.